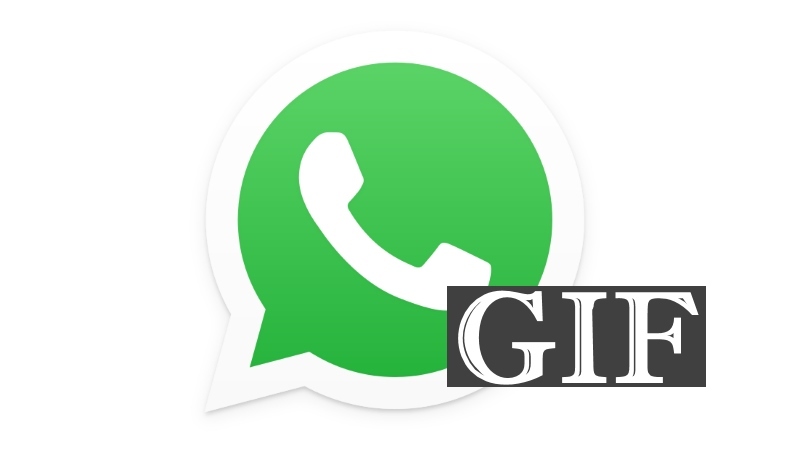 Did you know that you can send GIFs on WhatsApp? In this guide I’ll tell you how to use this function which allows you to share animated images with your contacts on iPhone and Android devices. This mind-blowing feature is available only for all devices that have the latest WhatsApp version installed, both iPhone and Android (we are waiting for Windows Phone). WhatsApp rolled out this feature to catch up with rival instant messaging services such as Facebook Messenger, Snapchat and iMessage. Here I’ll walk you through the procedure to share animated images both on iOS and Android. It is very easy and doesn’t require technical skills. The easiest way to send WhatsApp gifs animated on Android is to download them from the Internet. Simply Google “WhatsApp gif” or “Gif for WhatsApp” or just look for “Gifs” and you’ll get thousands of them. Once you’ve spotted one you like, save the images to the camera roll of your phone. Then open the recipient’s chat screen on WhatsApp, select the GIF you’ve previously saved on the phone’s camera roll, and send it as you do with normal pictures. 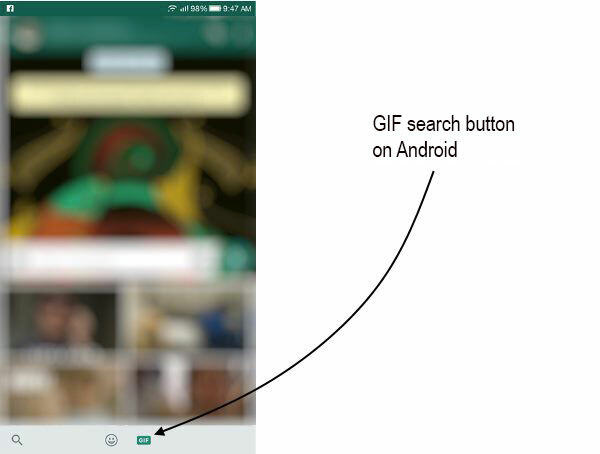 For both Android and iPhone users, there is the chance to search for GIFs on Giphy within the WhatsApp app and send them to their friends. For those who don’t know it, Giphy is a website that collects animated images created by users around the world and lets you share them on social networks and in group chats. With this WhatsApp has added a new way to send animated images, which would add to the photos that you take with your mobile phone or to the images with quotes that you can find here on Messaginapplab. Option 2: you can share GIFs from other applications such as Dropbox. To do so, open the Dropbox app (or the one from which you want to share a GIF), then tap on the GIF you want to send and select “Share“. Then click on “Export” and then select “WhatsApp“. WhatsApp will open automatically, and you can then pick the contact or group to send the GIF to. N.B. Remember, a GIF has a maximum duration of about 6-7 seconds, so if the video is longer it will be posted as a video. Once you submit your GIF to your contact or group it will play automatically. The GIF will never stop playing, so they will see it in constant motion until they close the screen. Let’s see the procedure for sharing GIFs over WhatsApp on iPhone with the iOS operating system. On iPhones you can find many beautiful animated images by using GIPHY – the best online GIF search engine. With GIPHY, you can select a GIF you like and send it directly through WhatsApp. Now select the one you prefer among those that appear or enter a search term. Then you can edit the GIF and send it! 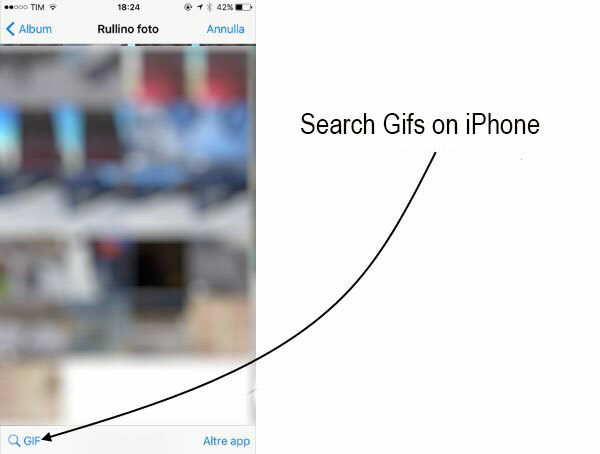 On iPhone you can also create GIFs for WhatsApp from a live picture. Simply follow the procedure described above and, instead of tapping on GIF, go to camera roll and select a live picture. The WhatsApp editor will turn it into a stunning GIF. Finally, for those who use WhatsApp web, unfortunately it is only able to read GIFs, and at present cannot send them. Saved Gif file did not work for me. It only sent it as static image. The receiver got it as static image. Yes, If send gif from web, not work, image static. Only gif from mobile.